Tea lovers will be able to experience the joy of creating healthy and delicious tea blends with Davidsons's organic teas and herbs. 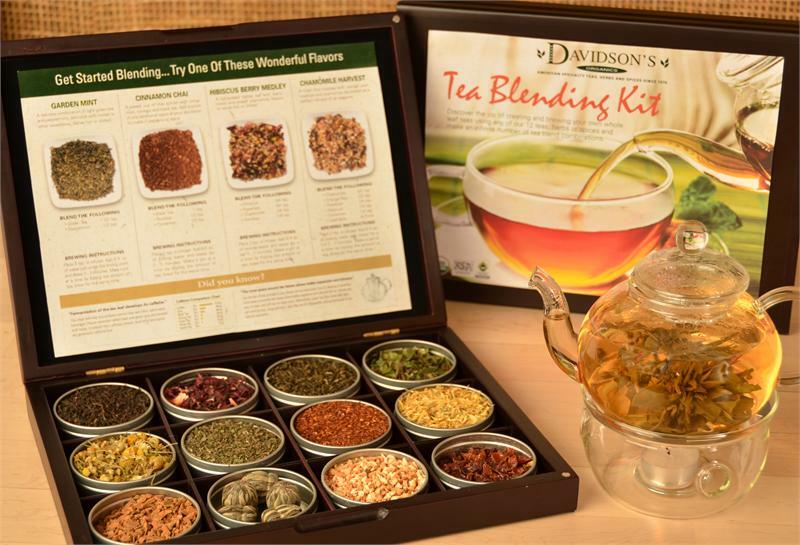 Using one of the recipes included or creating your own, Davidson’s Tea Blending Kit puts the power of creating loose leaf teas into your hands. 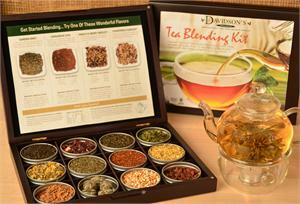 Each kit comes with a large 26-ounce tea pot with warmer that is perfect for using at tea parties. Each kit also comes with 12 organic teas and herbs, including black tea, green tea, white tea, rooibos, hibiscus, peppermint, calendula, rosehips, cinnamon, orange peel, chai and chamomile. Use the ingredients included or use any of Davidson’s teas, herbs, and spices from our website to create an infinite number of teas.